I have been starting to use the Cuttlebug more and more for projects lately. When I bought it right after Christmas (thanks to some gift cards that were given to me by my sister and future brother-in-law!) I wasn’t sure how much I would use it. I think I tend to have an obsession – I buy something and then use it a lot and amass lots of its accessories. Then I tend to forget about it and come back to it months later. So lately I’ve been on a Cuttlebug kick. I guess you can say its thanks to the two who originally helped me buy it! My sister purchased the program fans from AC Moore and was trying to figure out what to do with them. The groom’s mom and the groom both agreed that they would look better with a picture in them. My sister, her fiancé and I all took a trip to AC Moore to try to find a punch that would work with fans. But, most punches only come up a couple of inches from the bottom of the paper and the Martha Stewart punch around the page punches don’t have openings large enough for a picture. What a dilemma. I came up with a solution that I thought would work, but my sister’s fiancé wanted to ask the lady who worked at the store. She came up with a circle template and circle cutter that would cost almost $30! Then someone (not me!) would have to sit there and cut out 44 circles. He said he would do it – but everyone knows what that means! I can’t see him sitting there cutting out all those circles. So we went back to my solution. The Cuttlebug. Sizzle makes these Nestabilities dies that will cut or emboss shapes and gives you a range of sizes (usually 5 to 8 die cuts in each package). I took them back over to that section and they decided that they wanted the oval package. Normally they are $24.99. It was one of AC Moore’s Midnight Madness sales where they offer 20% off everything and the dies were already 40% off. They asked me to do one more thing before giving the fronts back to them, but I will wait until after the wedding to reveal the final fan! Hope this helps you find another use for your Cuttlebug! Happy scrapping! Posted in Cuttlebug, ideas, starting a project and tagged ac moore, Circle cutter, circle template, Cuttlebug, diy, oval die cuts, Program fans, punches, Sizzix Nestabilities. Bookmark the permalink. 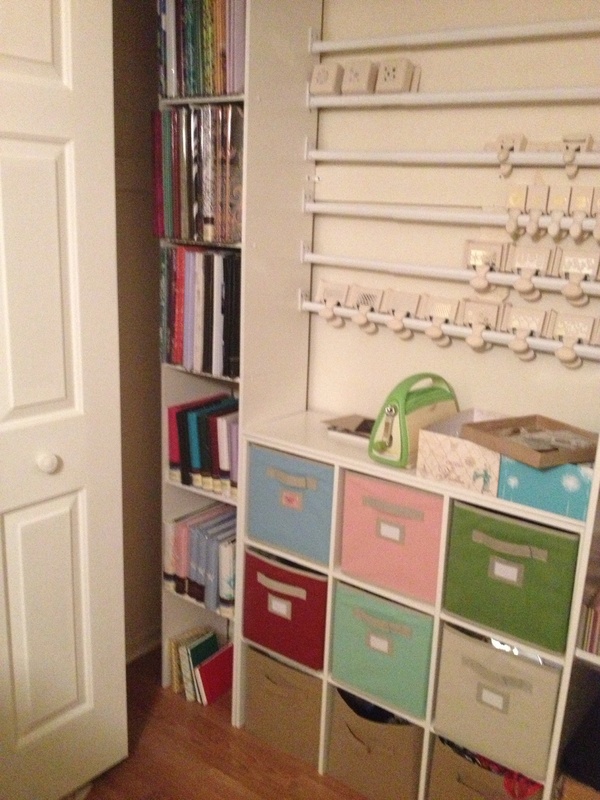 Last night I finally had it with my scrap room/office. It was so disorganized and such a mess that I had to do something about it. So I took a couple of hours to try and put everything in its place. Now if you know me, you know how much I HATE cleaning and organizing so this is a big deal! First, I started off with the things on my desk. I have a tendency to use something and then not put it back where it belongs, especially if I tend to use that item a lot. 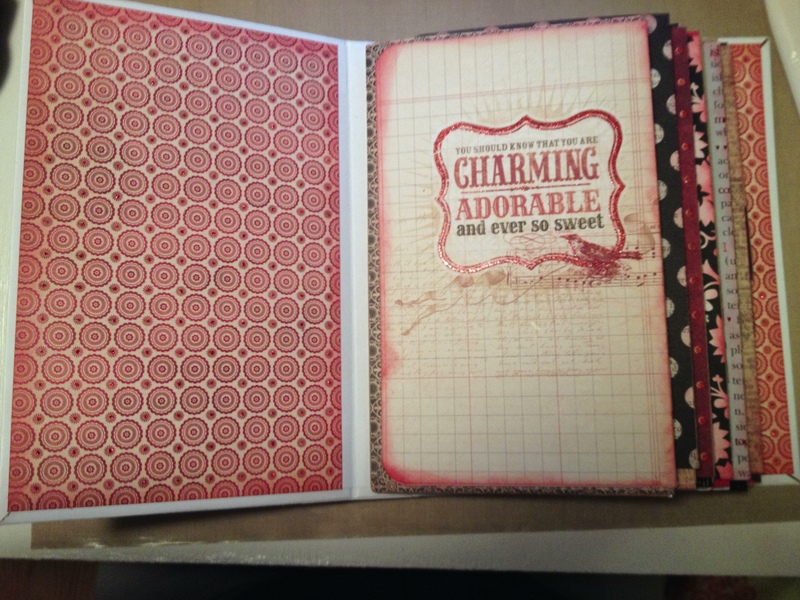 So I had stamps, embossing powder, stickers and other embellishments along with paper scraps all over my desk. Another thing you probably know about me is that I hate to waste anything. I think, oh, I can use this scrap of paper for something. Some might call it hoarding, but I like to think of it as not being wasteful lol. It makes me feel better at least! With that being said, I first tackled the paper scraps and made three piles – one that had a good amount of unused space left that I could use again, a second pile of scraps to be thrown away and the third one was shapes that I cut out but didn’t use. 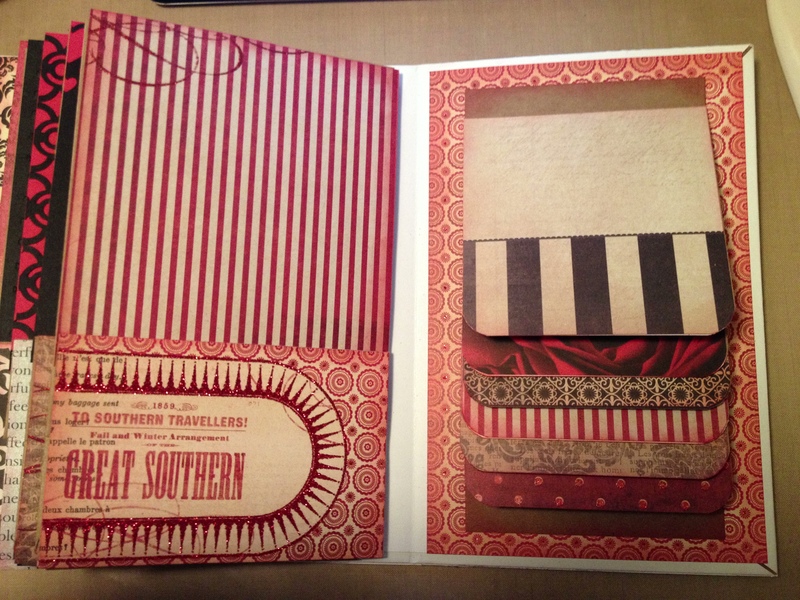 With the Cricut, sometimes it takes one or two differ tried to get the image the size you want. I had a lot of random animals and paper doll cutouts lying around. 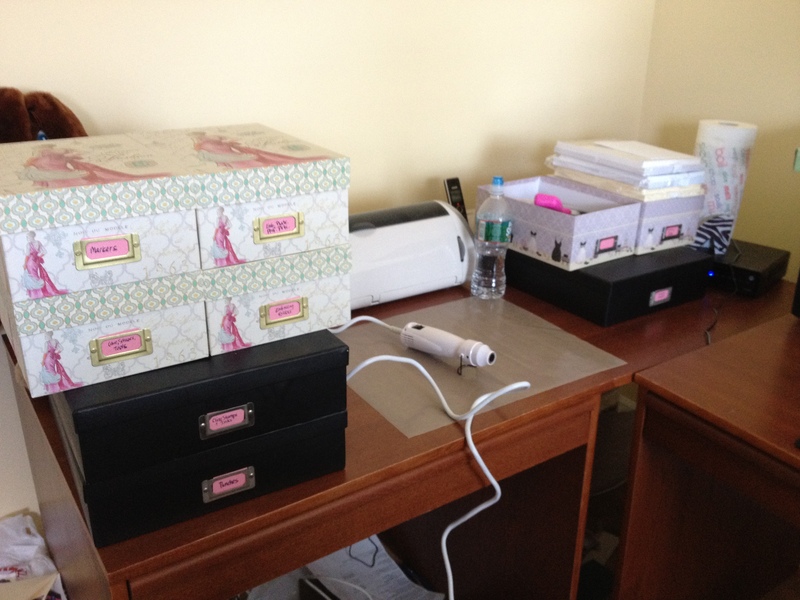 Over the past year or two, I have purchased photo/shoe boxes (the same size as the ones I used for my sister’s centerpieces) and large paper storage boxes made out of the same material. I had a couple of large ones so I thought that those could house my wooden stamps, punches and cling stamps along with some regular ink pads. I have a bunch of smaller boxes for markers, embossing powders and perfect pearl products, scissors and other supplies. I then placed these boxes on either side of my craft mat. I don’t think that this is the most practical solution, but for right now I am going to make it work. The last thing I need to organize is my paper supply. 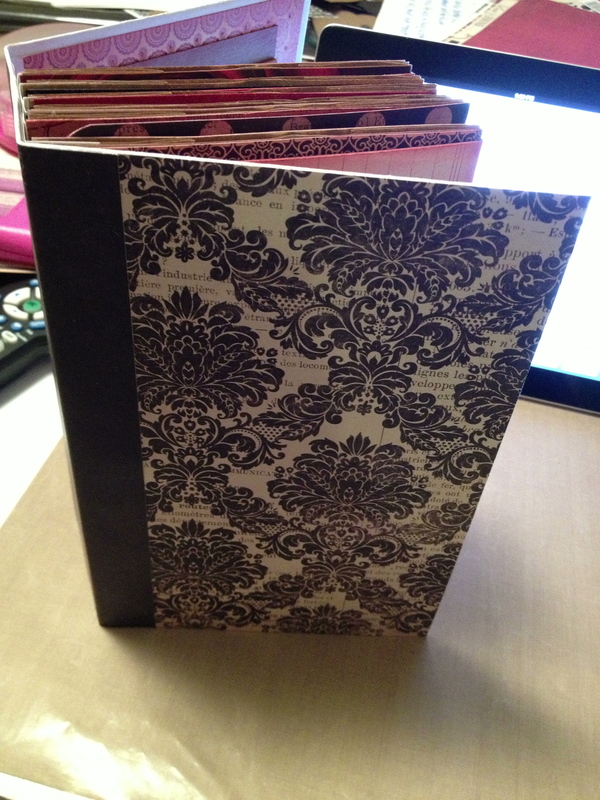 Right now I have some of my solid card stock and patterned paper in file folder racks. It isn’t the best solution and I am trying to figure out how to store them. My friend Amanda, who writes the blog theperpetualplanner.wordpress.com had some great ideas. I’m not going to steal them on here – I told her to write them in her blog. She’s very organized and I knew she would be the perfect person to ask. So check out her blog for suggestions on how to organize almost anything! Part of my paper storage problem is the paper scraps. I am still looking for a way to store them. I think I may have found a good solution, but I have to purchase the storage bin and then I will see how it works. If anyone has any ideas, please feel free to share. 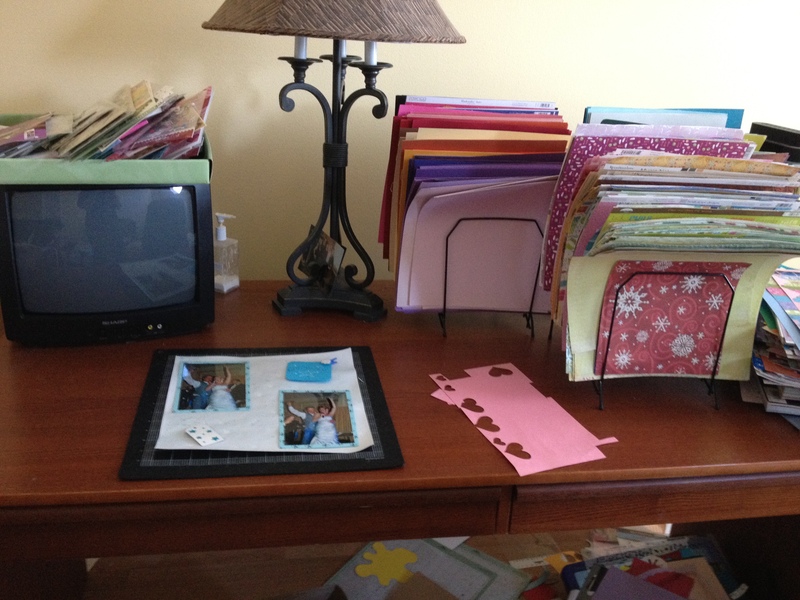 Posted in distress ink, Embossing Folders, Embossing Powders, ideas, Storage and tagged Organize, photo boxes, punches, Storage, supplies, workspace. Bookmark the permalink.